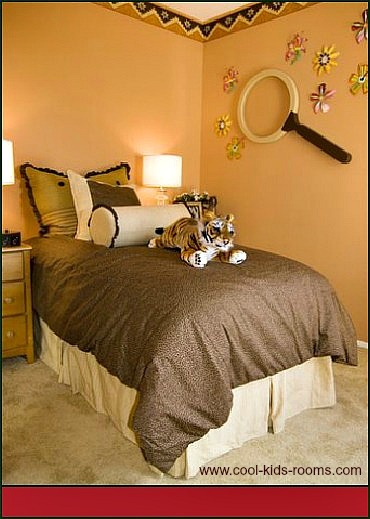 Painted wall murals, textured walls, wallpaper,wall stencils, and wall stickers can all be used to turn your kid's bedroom into a paradise they will cherish for years. 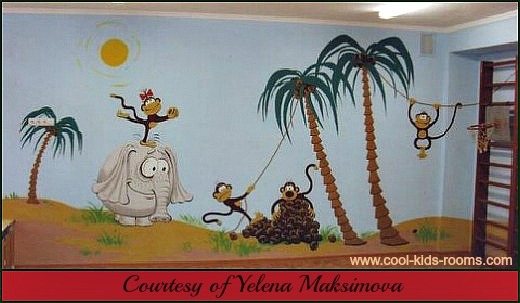 Painted wall murals are an extremely popular feature for kid's rooms. They are large pictures usually painted onto a blank wall. If you don't relish the idea of painting a mural yourself, you can buy wallpaper murals in a vast array of styles, themes, and colors. 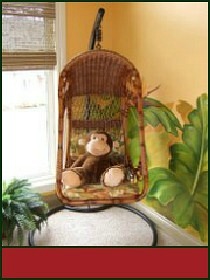 These murals are applied to the wall just like wallpaper, making them easy for anyone to install. Decorating with wall murals is a fantastic way to change the entire feel of a bedroom, and add a sense of adventure for your child. Wall stickers are one of the easiest wall decorating ideas to incorporate into kid's rooms, and children love to help apply them. Stickers can be used as an accent to existing wallpaper and borders, or they can be used to create your own unique murals. 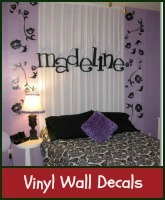 Stickers are not a good choice for textured walls, but work well on any accent wall, painted wall, tiles, and mirrors. Wallpaper borders can provide just the right touch, accent a mural, or fill unused space with color. Wallpaper is another option. You can find wallpaper in nearly unlimited colors, styles, and textures. The only limit on using wallpaper for your bedroom wall designs is your imagination. 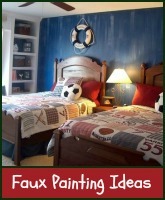 Paint effects are also a fun way to add a splash of color to your kid's rooms. These can include layering colors, using a sponge to apply patterns with paint, rag rolling, and many other creative touches. 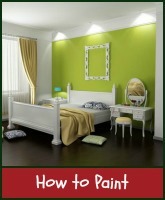 You can use paint effects on an accent wall to compliment a mural, or even use them to create a mural. 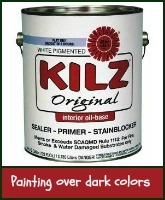 The possibilities are endless, as any unique paint applications can be considered paint effects. 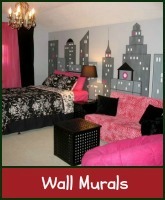 Using wall stencils is an easy way to decorate kid's rooms. 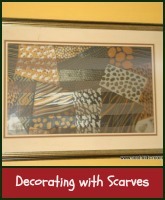 Stencils can be purchased from wall décor shops, or you can make them yourself. Projection-stenciling is a technique in which you project an image onto the wall and trace it. This is an option for people who aren't very good with free hand drawing. 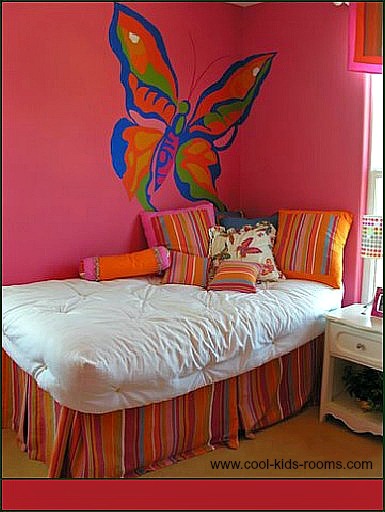 However, it can result in beautiful wall designs with very little effort. Some other wall decorating ideas to consider are faux finishing, textured walls, and creating an accent wall with contrasting paint colors. 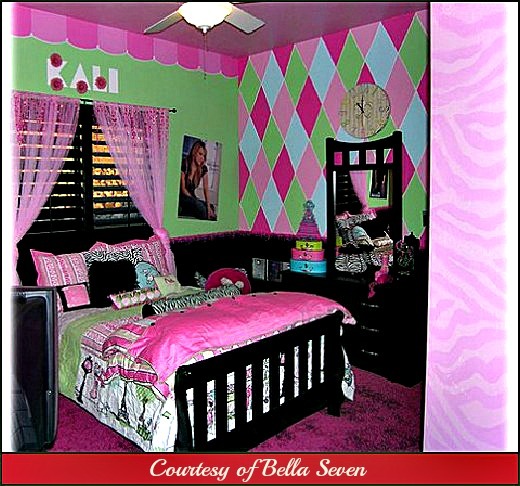 However, the most important part of wall designs for kid's rooms is finding a unifying theme. Choosing a theme will keep you focused on the room as a whole and help make your life easier when shopping for paint colors, stickers, murals, and other accessories. When shopping for your supplies, it's always better to choose a wall décor shop that specializes in wall designs for kid's rooms. Shopping at a department store may garner some results, but a wall décor shop will have much more variety and typically lower prices, and will give you more wall decorating ideas. 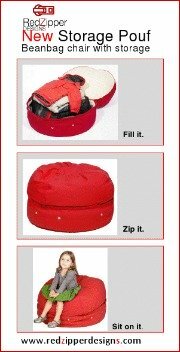 Online retailers are a great place to start, as they usually have a greater selection than you'll be able to find locally. 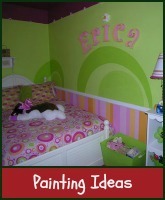 When you're ready to begin decorating walls in your kid's rooms, be sure to include them in the process. Even small children can help with applying stickers and wallpaper. Involving the children in the process will give them a sense of pride in their room, and make them more comfortable in the new environment.